Spencer 4BELL chair represents the evolution of the concept of evacuation. 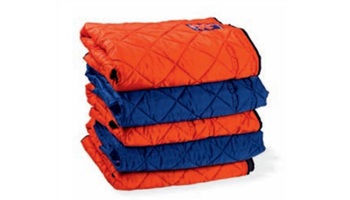 It offers maximum comfort and an ideal usability for both operators and the patient. 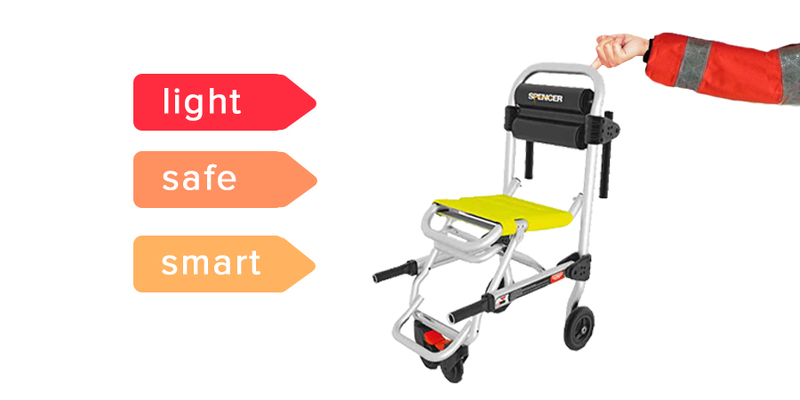 Rescuers will find absolutely innovative steps in this device that will effectively help you in evacuation and emergency procedures, minimizing effort and the margin of error. Spencer 4BELL is 4 times revolutionary for the world of emergency. Spencer 4BELL has no screws and the structure is made solid thanks to an innovative system of integrated self-locking elements. This new technique avoids any protrusions dangerous for both the patient and operators and eliminates any risk of instability due to fasteners that tend to loosen or unscrew. The complete range of 4BELL Evacuation chairs are certified 10 G when combined with the dedicated fixing system 4BELL Max. All models are equipped with two integrated safety belts; one positioned on the backrest, the second on the seat. 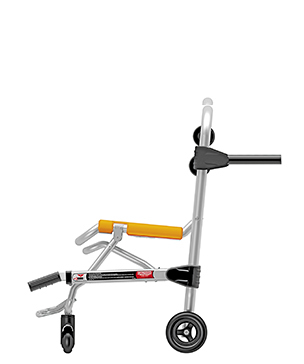 This innovative evacuation Chair is equipped with an intuitively positioned ergonomic handle for locking and unlocking. When opening the chair, the rescuer has no need to search for the handle. He will simply find it exactly where logic leads to look for it. Spencer 4BELL’s backrest offers the patient sufficient flexibility to guarantee maximum comfort and in addition with the harmonic cover systems, the long life of the device is a certainty. Spencer 4BELL is also the lightest in the world. An absolute revolution in just 9.4 kg. 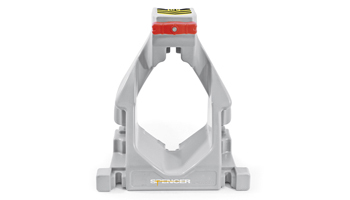 Spencer 4BELL 10 G is certified when used in conjunction with the dedicated assembly system 4BELL Max. 4BELL Class represents the base model of the 4BELL Series. Weighing only 9.4 kg, it is the lightest evacuation Chair in the world. Secure and intuitive, it can be used in a variety of areas and in all those places where evacuation is the only way to save lives. 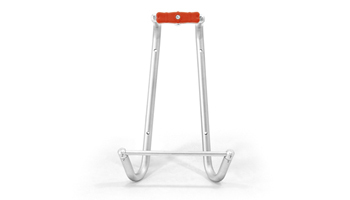 The strong frame is foldable to save space assisted by the rear handles that can be compacted to reduce the space necessary for device storage. 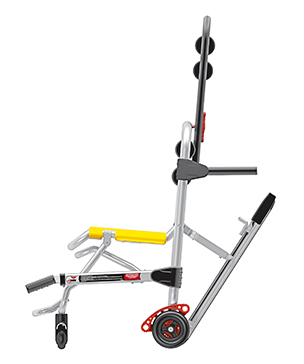 The system includes the intelligent front telescopic handles with the the Easyblock system that opens them with simple directional pressure. 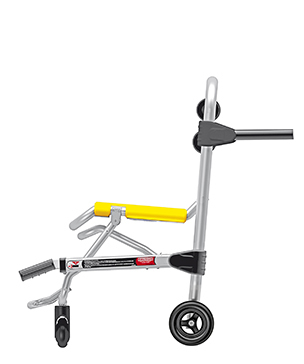 Self positioning front wheels with independent brakes avoid any hindrance during transport and evacuation of the patient. 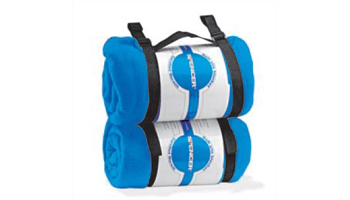 In addition to the Class version, 4BELL Comfort – adds accessories that will improve patient comfort during transport. Folding armrests increase both stability and the patient’s sense of safety. They are the ideal base for the panicking patient to grasp onto and avoids them reaching out for handrails, doors, etc in the attempt to balance themselves en route to the rescue vehicle with the risk that this can compromise the security of the manoeuvres. In addition, the removable headrest encourages a correct, comfortable and stable posture which assists in limiting unnecessary movements by the patient that could hamper or even make the emergency workers job more dangerous. 4BELL Air is narrower than the other 4BELL models. 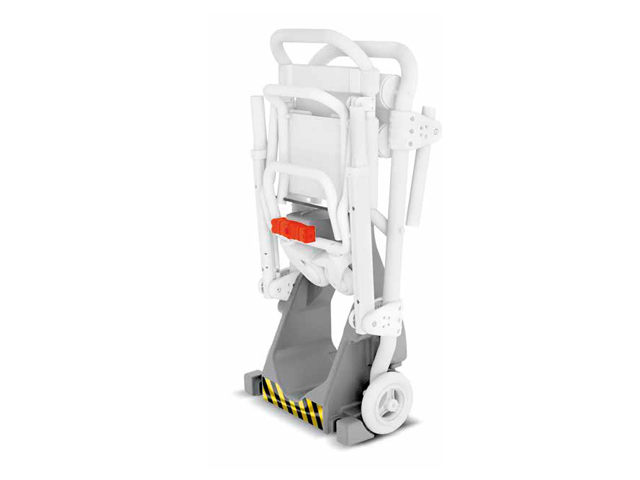 This makes it particularly suitable for use on aircraft and in all environments where patient evacuation and transportation are made more complicated or even impossible by tight spaces and narrow routes. The more compact frame makes it ideal for use not only on aircraft but also on ships, in public buildings, shopping malls, schools, museums and in old buildings where the escape routes in the event of evacuation don't allow easy passage of standard devices. 4BELL Stair is equipped with slides to descend steps. 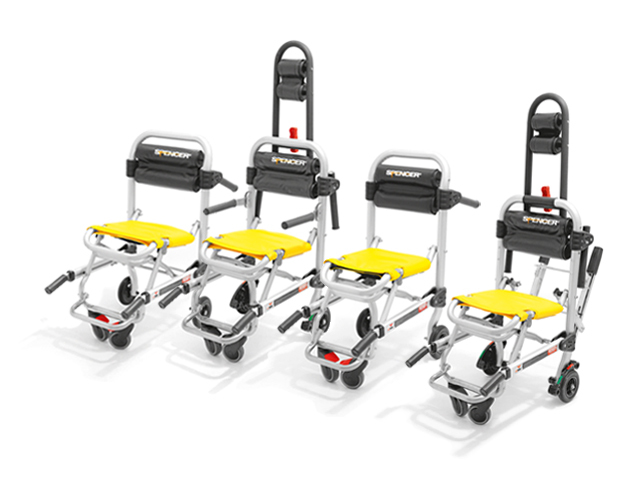 Thanks to the cutting-edge characteristics, Stair version is the ideal device for rapid evacuation and is especially useful in confined spaces as for example staircases. The removable headrest that can also be used as a driving system for the device during descent and provides maximum comfort and excellent stability. 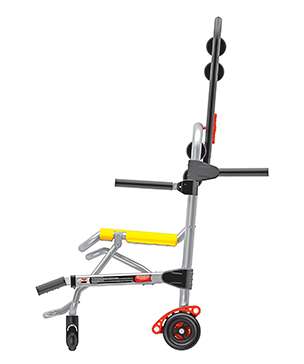 The lightness and compactness of the Chair allows rapid and agile downhill manoeuvres permitting maximum safety for both the operator and patient.